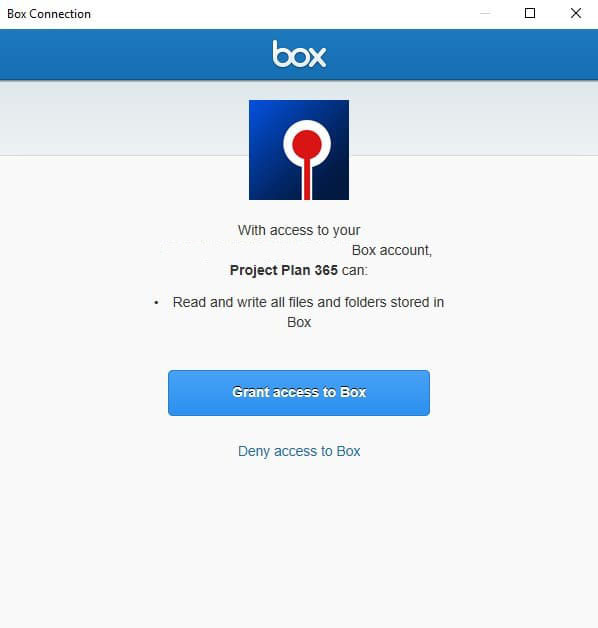 Box is a cloud content management and file sharing service for businesses available on Mac, Windows, and several mobile platforms. 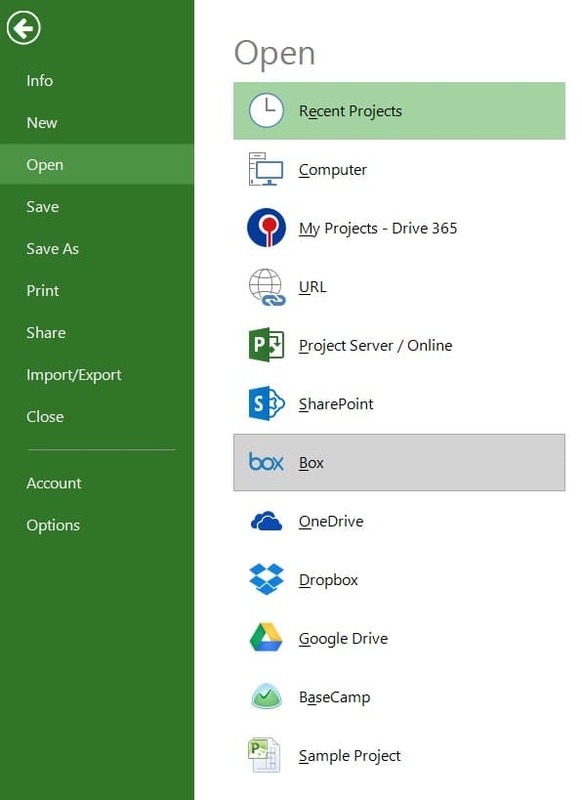 How do I open a project from Box? 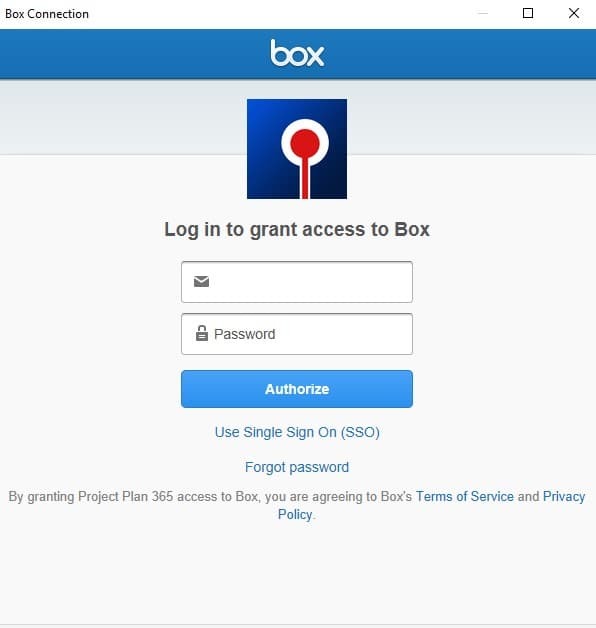 To access a project plan from Box, click File - Open - Box. Login if you are not authenticated already, select the project you want and click Open. 2. Click Box. Connect with your account. 3. Grant access to our application to access your files.